Professor Mark Tewdwr-Jones is Director of Newcastle City Futures and the fifth holder of Newcastle University’s 1946 Established Chair of Town Planning and a member of the Global Urban Research Unit at the School of Architecture, Planning and Landscape and one of the UK’s leading authorities on planning, land use, historic and contemporary urban change, and community participation in places. He tweets via @profmarktj. Formerly employed at the Bartlett School of Architecture and Planning at UCL where he worked with the late Professor Sir Peter Hall, Mark is at ease discussing the past, present and future of places with architects, planners, geographers, scientists and engineers, as well as with businesses, communities, governments and filmmakers. He is the author or editor of 14 books, including: The European Dimension of British Planning (with R.H. Williams, 2001); The Planning Polity: Planning, Government and the Policy Process (2002); Planning Futures: New Directions for Planning Theory (with P. Allmendinger, 2002); Second Homes (with N. Gallent and A. Mace, 2005); Territory, Identity and Spatial Planning (with P. Allmendinger, 2006); Decent Homes for All (with N. Gallent, 2007); Urban and Regional Planning (with Sir P. Hall, 2011), Urban Reflections: Narratives of Place, Planning and Change (2011); Spatial Planning and Governance (2012); The Collaborating Planner? Practitioners in the Neo-liberal Age (with B. Clifford, 2013); and The Planning Imagination – a tribute to Sir Peter Hall and his contribution to urban and regional planning (with N. Phelps and R. Freestone, 2014). Among Mark’s achievements over the last 25 years are aspects of devising foresight methods for the future of places and cities, visual methods for active citizen and business participation in cities, strategic spatial thinking and spatial governance, the study and representation of cities historically in film and television, behavioural dimensions to planning theory, and the relationship between planning and other policy fields such as housing. Mark is the recipient of over £1m of research and consultancy grants and has undertaken major research work for government, charities and businesses. He has given over 200 research talks and speeches worldwide, and has supervised successfully over 20 PhD students. He has led a number of major Government funded studies in the social sciences including The Impact of the EU on UK Planning (1996-98), Peripherality and Spatial Planning (1998-2000), Methodologies for National Spatial Planning (2000-1), Second and Holiday Homes in Wales and England (2001-3), Linguistic Impact Assessment (2003-4), Local Development Frameworks (2003-4), Effective Spatial Planning in Practice (2006-7), Land Use Futures (2008-10), Spatial Planning and Health (2009-11), and Newcastle City Futures 2065 (2013-15). 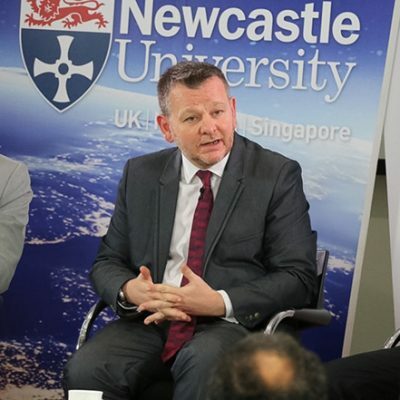 Recently, he was part of the Newcastle team that won the National Centre for Ageing Science and Innovation (NASI), announced with Treasury funding of £20m in 2014, and the EPSRC Centre for Digital Economies and CTD Digital Civics programme, worth £12m. 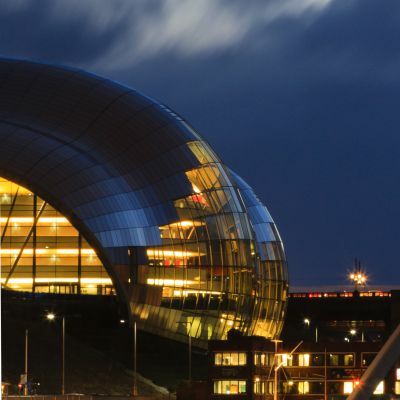 He currently leads the Newcastle City Futures RCUK Innovate UK Urban Living Partnership pilot for Newcastle and Gateshead, one of five national pilots. He was previously Government Advisor on planning, land use and housing issues to ministers in UK Government, the Welsh Government and Scottish Government, and served as a lead expert for the Government Chief Scientist Sir John Beddington’s Foresight project on Land Use Futures; more recently he has been involved in Sir Mark Walport’s Future of Cities Foresight project. He was also a lead expert on the NHS NICE project on spatial planning and health, advised the Royal Commission on Environmental Pollution, served on the ESRC CASE Award Panel and RTPI General Assembly, has given evidence to select committees, is a panel member for DFiD’s Commonwealth Scholarship Commission, and served as Vice Chairman and Trustee of the Regional Studies Association. As well as providing research advice, Mark is regularly called upon to discuss policy and engagement options with and in central and local government, and with different groups and communities in towns and cities. Mark became an Academician of the Academy of Social Sciences in 2011 and was appointed a Fellow of the Royal Town Planning Institute in 2013. He holds a passionate interest in inter-disciplinary research. He is Adjunct Professor of Urban Planning and Design at the University of New South Wales, and he has been the recipient of distinguished visiting fellowships at Berkeley, Hong Kong, Sydney, Shanghai, Guadalajara, Nijmegen, Pretoria, and Malta. In 2009, he was a speaker at the Cheltenham Science Festival, and was curator of city and film sessions at the Open City London Documentary Film Festival in 2011 and 2012. He was the recipient of the RTPI North East Planning Awards 2015 Chair’s Award for Planning Excellence and the RTPI Research Awards 2016 Sir Peter Hall Award for Wider Engagement commendation for Newcastle City Futures. He directs Newcastle City Futures, and chairs the City Futures Development Group, an innovative collaborative arena bringing together academics from Newcastle and Northumbria Universities, with officials from Newcastle City Council, Gateshead Council, the North East Local Enterprise Partnership, and business representatives. NCF designs innovative cross sectoral and collaborative initiatives in the North East to improve research, resilience, well being and policy. See http://www.newcastlecityfutures.org. He is the ‘People, Place and Communities Theme Champion’ at the Newcastle Institute for Social Renewal. Mark Tewdwr-Jones BSc (Hons), DipTP, MA, PhD, AcSS, FRSA, FRGS, FRTPI, FeRSA, AoU. 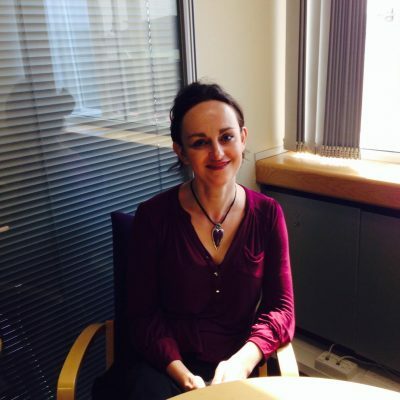 Michelle has 20 years’ experience of regional policy and strategy development and leads on partnership and policy liaison for Newcastle City Futures in her role as the Newcastle City Partnership Officer. Michelle supports the strategic partnership between the University and the City Council in relation to Science Central and facilitates community engagement in the site and in key projects. Prior to this role, Michelle was the strategic lead for Skills and Education at the North East Local Enterprise Partnership. Michelle has held strategic roles in City and regional bodies, managing regional programmes for regeneration and economic inclusion. As Economic Advisor at Government Office for the North East, she was the lead for enterprise in deprived areas, securing national investment for growth in disadvantaged areas of the region and held advisory positions on national policy panels. Fiona has business development responsibility within the HaSS faculty and supports the Schools of Architecture Landscape and Planning, Newcastle University Business School. Newcastle Law School and the School of Modern Languages. As well as working directly with academics within her Schools, Fiona works with organisations to promote the commercial products and services the University can offer. She is involved in setting up strategic partnerships with industry and works to support internal collaboration with a view to creating long-term strategic relationships with external businesses and the University’s strategic partners. My first career was in Housing with Newcastle city where I worked on the development of housing for older people and later on capital investment in the west end of the city. I came to academia in 1988. My interests have always been in issues of social justice and the city. My initial focus was on women and I was a co-founder of the EuroFEM network with Chris Booth of Sheffield Hallam and Liisa Horelli of Helsinki. Several articles came from this work. Also from this period in my research career is the book `Housing Women`which I co-edited with Roberta Woods. During the 1990s I was increasingly undertaking research into local urban regneration and community development programmes. It was during this period that I made the transition to my current focus on older people. In both my work on women, disadvantaged communties and on older people my concern is to hear the voice of individuals and find ways of revealing their experience. My work on older people has taken me to urban and rural Japan, urban China and most recently to India. Much of my work involves Newcastle Elders Council/Quality of Life Partnership. I am committed to developing new ways of thinking about older people’s housing. In 2012 I set up structured conversations around cohousing to consider the how we shall live question. Images from one of the workshops can be found here. I am part of a group working to develop new housing models to help older and younger people in the creative cultures sectors share and retain their creative capacities. I am leading a cross academy, community, business and local authority working group that is working to develop demonstrator homes on Science Central.